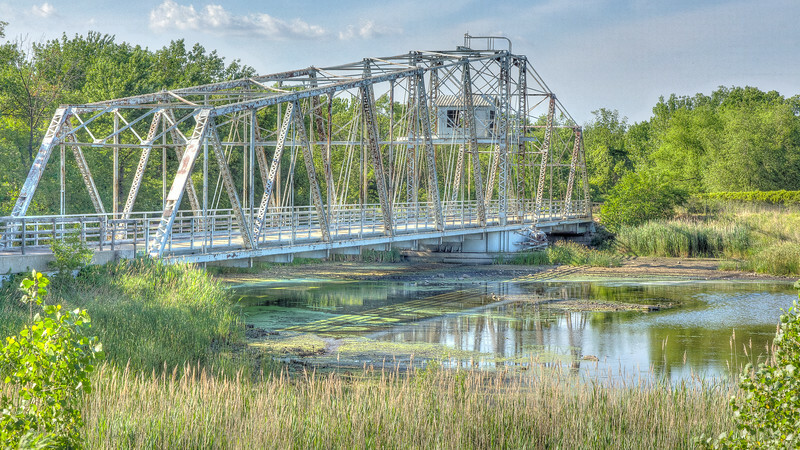 This magnificent climax to the Centennial Trail system that has been created in the area is a structure that was once common in the area 100 years ago but is today distinguished as the last highway swing bridge remaining from the Sanitary and Ship Canal. A few railroad swing bridges do remain however, and some are actually similar in terms of shape to this bridge like the Lemont Railroad Bridge. This bridge is unusual as swing bridges go not only for its length, but also for not being symmetrical around the pier. One end is much longer than the other. Most swing bridges were symmetrical so that the weight was balanced. This bridge was closed to traffic in 1990, and eventually replaced by a modern bridge and relocated here to this nearby location in 1996.